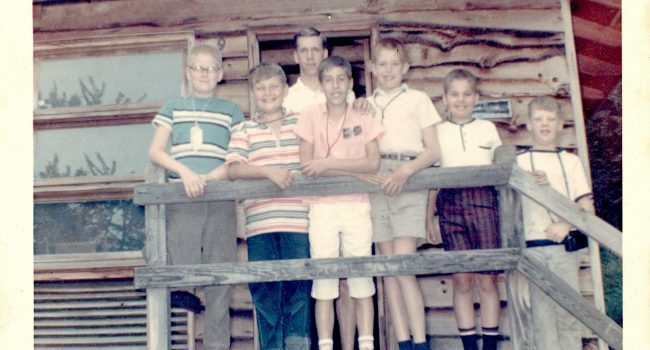 Stu Sherman, long-time Wawayanda guy now (and for many years) living in California, has been going through his old files and has found some great photos from his summers as a camper and counselor (mid-1960s through early 1970s). The two photos are were taken during the summer of 1966 when Stu (and I also) were campers in Forest village. 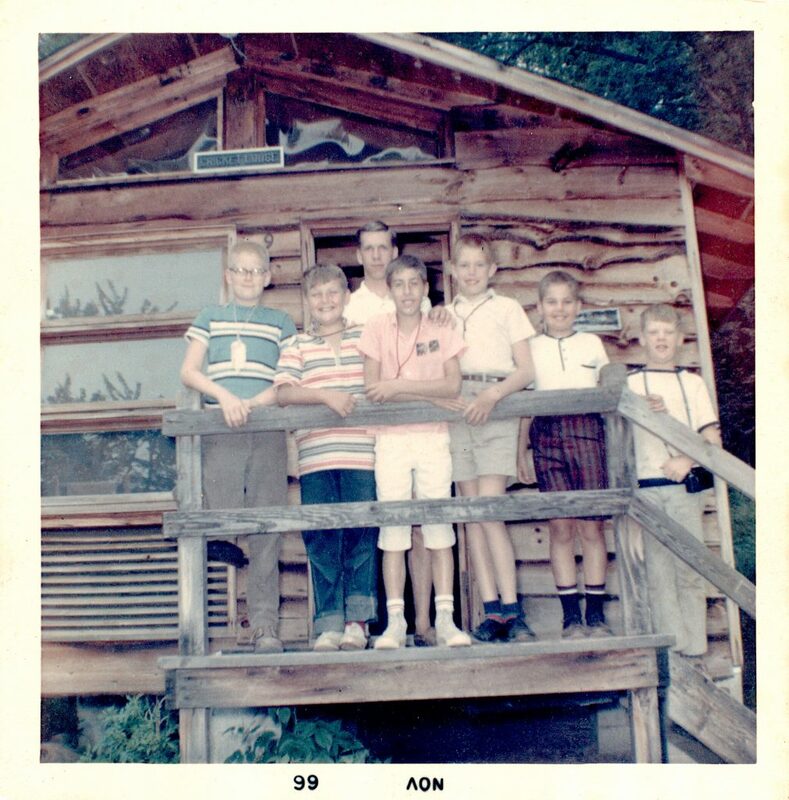 The second (in color) is a cabin photo—of the residents of cabin 9. Stu is in the middle front, in white shorts. 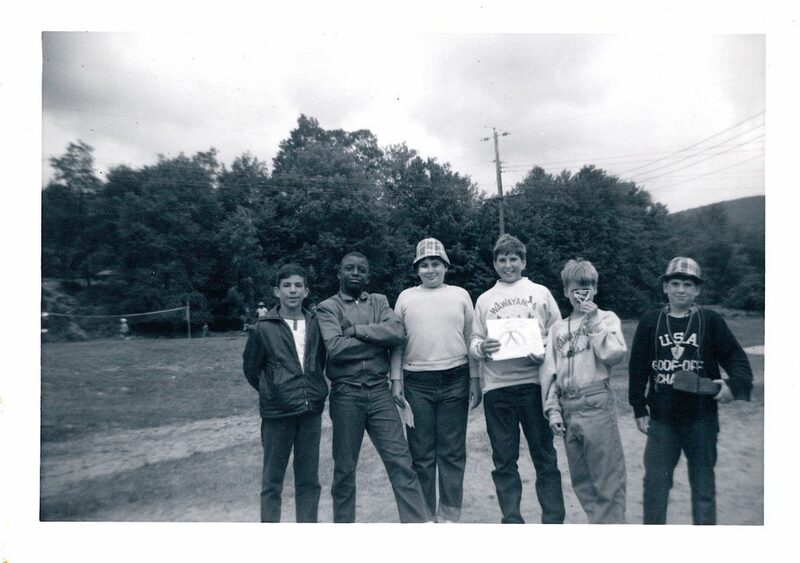 Notice the camper to our far left has a “canteen card” around his neck. We carried those cards around as a kind of ID—it was used for the buddy board at waterfront but also to enable us to spend 5 or 10 or 25 cents for an item at the “canteen,” which was housed at the north end of Hayden Lodge. The counselor’s name was Walter “Cloud” Sullivan. I only knew him as “Cloud.” He got the name because cabin 9 was his cabin for that summer and at least the next summer also: the cabin itself was sometimes called Cloud 9. I mostly remember him wearing a big slouch hat and being very soft-spoken. The first (black and white) photo was taken by one of Stu’s parents on the final day of the camp session. The boys are standing just to the northwest of Hayden Lodge. You can see behind them the field now sometimes called “the Hayden soccer field.” One of the boys proudly shows his archery certificate. Another holds up the patch he received at closing campfire the night before—for achievement in swimming. I believe he’s showing us his “Flying Fish” patch. The gradations started with Minnow and went up through Fish, Flying Fish, Shark, etc.